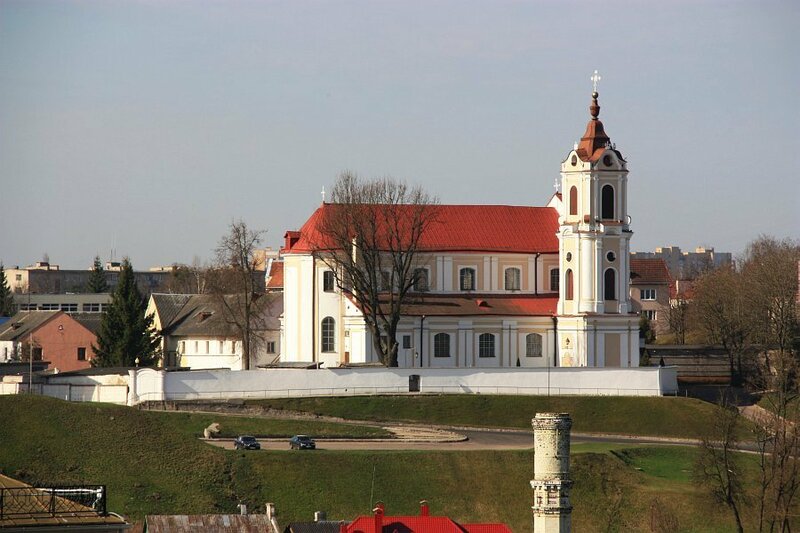 Church of Our Lady of the Angels and the Franciscan monastery in Grodno - Franciscan monastery, situated on the left bank of the river Neman, flowing through Grodno. The facility was built near the river crossing that combined the road leading from the Poland Crown to Lithuania. Church and convent form a closed courtyard in the form of an irregular quadrilateral and are today one of the monuments of the seventeenth-century architecture of the city of Grodno. After the fall of the January Uprising in 1864 complex Franciscan served for many years as a Russian prison for priests and religious sentenced for antirussian activities. In 1989. Franciscans returned to Grodno, including the return of pastoral care of his church.